It’s been nearly three years since Hurricane Irene devastated Prattsville. Driving through there on Sunday I noticed some all too obvious signs of the destruction in the form of homes that were so ruined, their owners are likely to have abandoned them never to return. The Zadock Pratt Museum, cultural gem of Prattsville, is slowly recovering from the damage it sustained, thanks to the indomitable spirit of group of dedicated people. 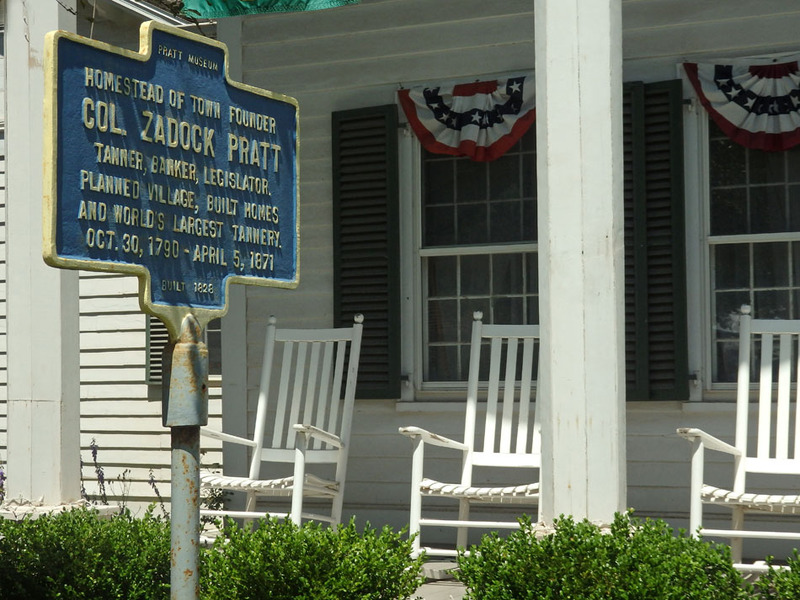 The Museum was originally the Homestead of Zadock Pratt, who founded the town named after him in the 19th century. Pratt led quite an adventuresome life: New York State militiaman, soldier in the War of 1812, member of the U.S. House of Representatives, founder of what was the largest tannery of the world in its time. He built the town of Prattsville to accommodate the huge labor force needed to operate his tannery. 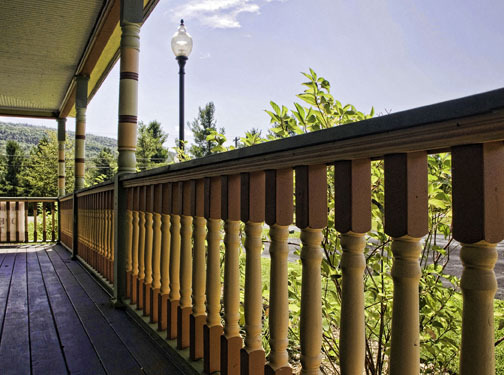 The Pratt Museum was dedicated to preserving Zadock Pratt’s papers and belongings and a wealth of other material that told the story of life in this part of the Northern Catskills in the 19th century. Then came Hurricane Irene. The Museum was inundated with flood waters, and just about everything in it went floating down the Schoharie Creek. Thanks to the diligence of Carolyn Bennett (director of the Catskill Mountain Foundation) and many other dedicated people, most of the material was recovered. But it was, of course, soaking wet, and is now in a deep freeze awaiting a day when they can afford to thaw and restore them. During my visit on Sunday, Suzie Walsh, who now manages the Museum and is incredibly knowledgeable about everything to do with Zadock Pratt, the Museum, and the history of the town, showed me the marks where the water had reached in the house. It’s a wonder there is anything left. But they don’t give up. They are still using the premises for cultural events. This year there is an exhibit titled “The Paintings, Watercolors, and Drawings of D.F. Hasbrouck, American Impressionist (1849-1979).” What an amazing feat of organization went into amassing this exhibit of works by Dubois Fenelon Hasbrouck–they came from all over–and how beautiful and varied they are. Pay your $5 admission fee and Suzie Walsh will give you the tour and share all she knows about this undeservedly rather obscure artist. After leaving Prattsville I headed to the Doctorow Center for the Arts in Hunter, where, under the auspices of the Mountain Top Historical Society, a new film about the Catskills was being premiered. Titled To Be Forever Wild, the film is the brainchild of David Becker, a gifted young filmmaker from Saugerties. This was another astounding feat of organization, recruiting and managing the cast and other workers and dealing with an intimidating mass of administrative work. To Be Forever Wild is available for sale on DVD and will also be broadcast on PBS beginning in August or September. Kudos to the Mountain Top Historical Society, and especially to Drs. Bob and Johanna Titus, for sponsoring the premiere of David Becker’s fine work. 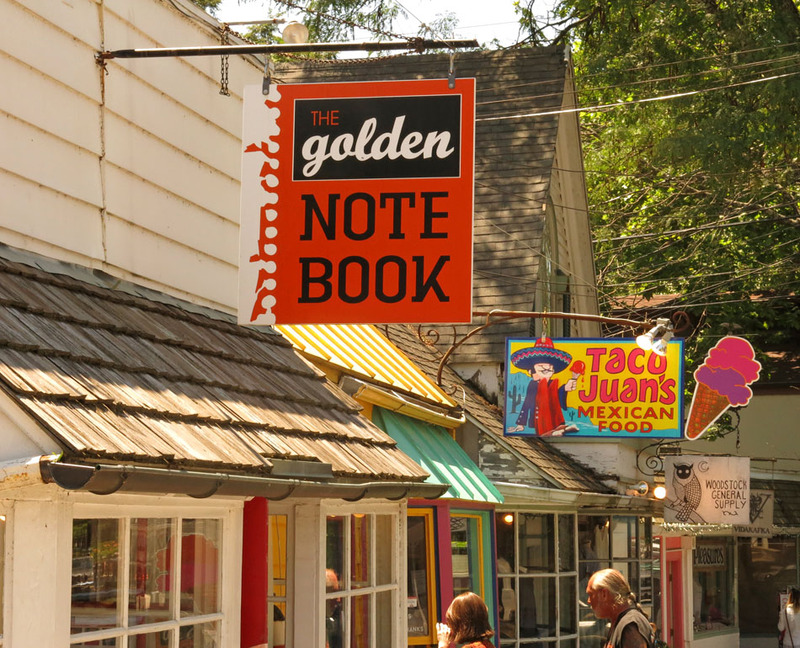 Saturday July 26 at 2 pm in the Golden Notebook, Tinker Street, Woodstock: I’ll be giving a talk about the making of my book The Historic Hudson Valley: A Photographic Tour. Come hear my talk, see the exhibit of my photography (it’s for sale, and books will also be for sale, which I’ll be glad to sign for you), and support this wonderful independent bookstore right here in the Catskills. Sunday August 3 from 2 to 4 pm at the Mountain Top Historical Society, Route 23a, Haines Falls: This is the opening reception for my photography exhibit, Natural and Historical Landscapes. Come and join us! All artwork, and some extras, will be for sale throughout the show, which lasts until after Labor Day. The Visitor Center is open weekends 10 a.m. – 4 p.m. and Monday, Wednesday and Friday afternoons 1-4 p.m.